Charter a luxury private flight to Cleveland, a culturally diverse city in Ohio resting along the shores of Lake Erie. Cleveland is a major aviation hub in the Midwest, and is home to a variety of popular airports for private and general aviation. Our company has access to thousands of private planes from around the world certified for these flights, and we’re confident we can connect you with the right aircraft at the right cost, whether you’re flying internationally or domestically. Our team was established to offer the highest standards in executive and leisure travel, and our team offers on-demand private jet charter service to/from Cleveland. We’re one of a select number of charter brokers worldwide with Wyvern-certification, and all of the private aircraft we use for flights to Ohio are operated by FAR Part 135 (or foreign equivalent) air carriers. Enjoy the comfort, convenience and peace of mind you get from working with an air charter broker you can trust, and Air Charter Advisors will become your local and global solution for luxury air travel, aircraft acquisition and private jet management. Call or request a quote for your charter flight to Cleveland, Ohio. Our team can handle all aspects of private aviation, whether its booking your private jet, creating its flight itinerary, arranging in-flight catering, luxury ground transportation, helicopter lifts and any other requests you may have – make Cleveland Jet Charter your one-stop shop for all things private aviation in the state of Ohio. Renting a private turbo-prop or luxury jet allows you to skip commercial air traffic by taking advantage of regional airports focused primarily on private and general aviation. Clients using our Cleveland air charter service can choose between a variety of local airports to arrive and depart from, allowing business and leisure travelers to land closer to their destination while potentially saving on their jet charter cost. Economically, Cleveland is one of the most important cities in the country, with major industries in Health & Medicine, Science & Engineering, Biotechnology & Biomedical, Manufacturing and Education. 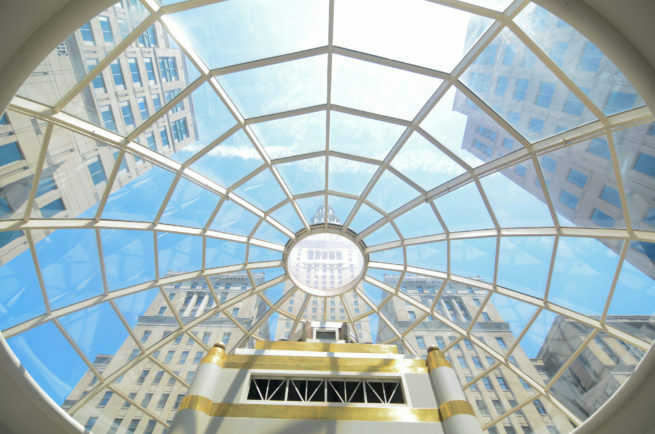 Nearly 40% of Fortune 500 companies have operations in Northeast Ohio, whether it’s a corporate headquarters, major division, subsidiary or sales office. The Cleveland Clinic Health System is regarded as one of the leading treatment centers in the world, treating some of the world’s most important dignitaries, most notably King Fahd of Saudi Arabia. NASA also has a center based in the area, with the Glenn Research Center adjacent to (CLE) Cleveland Hopkins International Airport, and in 2005, the city was named an Intel “Worldwide Digital Community”. If you’re an executive or business professional flying private to Cuyahoga County, our private jet charter brokers can arrange the perfect flight for your needs with our direct access to thousands of luxury private jets and helicopters. Air Charter Advisors has access to a wide range of efficient business jets, and we have years of experience working with heads of state, celebrities, and top business executives alike. Long-range jets such as a GulfstreamV/G500/G550 offer convenient, comfortable air travel across the country or overseas, reaching domestic destinations such as New York and Daytona Beach in just a couple of hours. Rates for long-range jets can vary between $6,500 – $9,000 hour, depending on aircraft type, routing, sceduled and other factors. If you’re flying within Ohio or to a nearby by Midwestern state, charter an efficient mid-size jets like a Hawker 900XP and depart from general aviation airports in the region, including (KBKL) Burke Lakefront and (KCGF) Cuyahoga County. No matter which aircraft type you prefer, our friendly private aviation agents will be available to you 24/7 to help plan your upcoming executive charter flight to Cleveland, Ohio. Cleveland was originally founded in the late 18th century, and despite its prime location along Lake Erie, population didn’t increase much until the War of 1812 was over. Easy access to waterways provided a foundation for a thriving marketplace of merchants and farmers, but it wasn’t until the addition of railroad links that population exploded. In 1870, John D. Rockefeller founded Standard Oil here before moving it to New York City in 1885, and the 20th century would see Cleveland go on to become a major American manufacturing center. Today, the city is home to several major corporations, three major sports teams, notable museums such as the Rock and Roll Hall of Fame, and one of the most popular theme parks in the world, Cedar Point. The city experiences a bit of sprawl as you would find in similar American cities, and private jet travelers will find a number of walkable neighborhoods with plenty of restaurants, shopping, galleries and cafes throughout. Tremont is where you’ll find the greatest concentration of galleries, along with an array of cafes, popular dining spots and gorgeous architecture that make it a popular choice for professionals and artists. 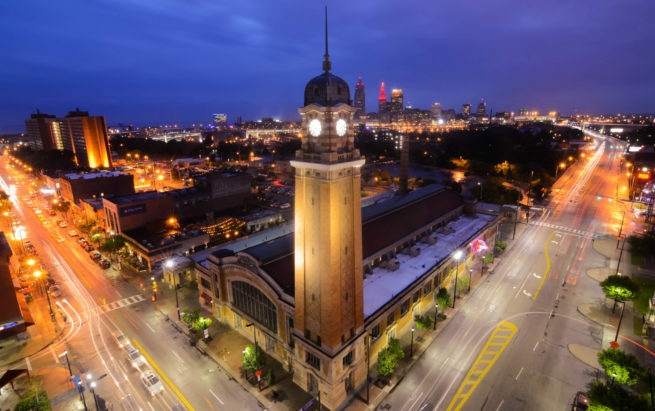 Ohio City is home to microbreweries and a handful of eclectic shops, while Coventry Village is the place to go for the best metropolitan experience. Feel free to step outside of the city limits though, as the area ranks fifth in the nation in number of major cultural resources per one million residents. Places Rated Almanac ranked the region second in recreational options out of 354 US metro areas, and it’s home to the most golf courses per capita in the United States. Sports are huge in Cleveland, and the downtown area is where you can catch an Indians, Browns or Cavaliers game. Monday Night Football was born here in 1970, but most know the city from phrases such as The Drive, The Fumble, The Shot, The Decision, and 2 More Outs, all of which still ring loudly in the ears of many a Clevelander… that is, until LeBron James returned the city to championship glory in 2016. There’s also a number of world class museums, many of which opened recently thanks to the city’s revitalization efforts. Most museums can be found in the University Circle district within walking distance of each other. Shoppers will want to head over to Shaker Square, a century-old commercial district located just 10 minutes south of University Circle. If none of that piques your interest and you just want to unwind for a moment, no matter which direction you go from downtown, you’ll soon find yourself in a park as the Cleveland Metroparks system forms an emerald necklace around the whole area. Check out more of our recommendations for things to do after your private charter flight arrives in Cleveland, Ohio. 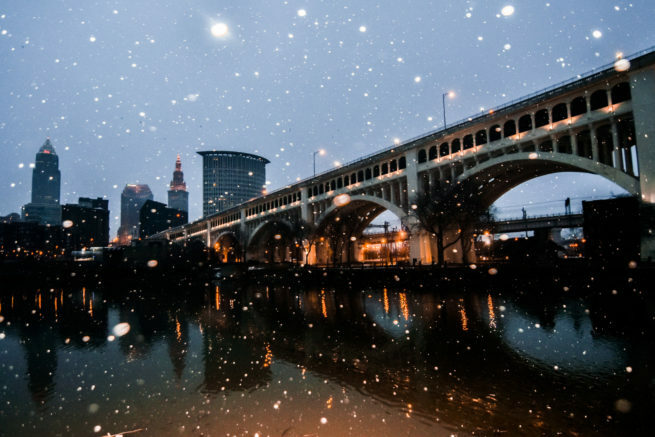 Fly private jet charter to Cleveland, the urban center of Northeast Ohio and the 15th largest metropolitan area in the nation. Despite Cleveland’s reputation as a hard-working industrial town, a beautiful downtown area rests at the mouth of the Cuyahoga River beyond the old automotive plants and steel factories. Downtown is home to the best attractions in the city, most notably its museums, shopping venues and concert halls. Downtown is also home to the city’s best luxury accommodations for lavish private jet getaways. The following list of our top choices was created based on factors such as Air Charter Advisors passenger feedback, location, amenities and online reviews. Once you arrive in Ohio via luxury private jet, our Cleveland Air Charter service brokers can also arrange ground transportation to/from the hotel of your choice. Air Charter Advisors utilizes the following airports to fly clients privately to/from Cleveland, Ohio and neighboring areas. Charter a piston aircraft, turbo-prop, entry-level jet, light jet, mid-size jet or heavy jet. Request a Quote or give us a call at 1-888-987-5387 to speak with one of our Cleveland Private Jet Charter agents for your next luxury vacation, business trip, or special event. Whether booking a private flight for business within Cuyahoga County or for a tour of world-class museums and cultural events, we can help arrange the right aircraft and flight itinerary that best suit your needs. The area is home to several airports, with (BKL) Cleveland Burke Lakefront Airport and (CGF) Cuyahoga County Airport serving a majority of private charter flights to the area. Our team at Air Charter Advisors believes in providing you with a one-on-one consultative service experience. We understand that your time, privacy, flight preferences and most of all, safety, are all extremely important. Our Cleveland private air charter representatives are available for you by phone and email 24 hours a day, 7 days a week. When using our private aviation service, you can expect quick response times and an easy, hassle-free booking process.